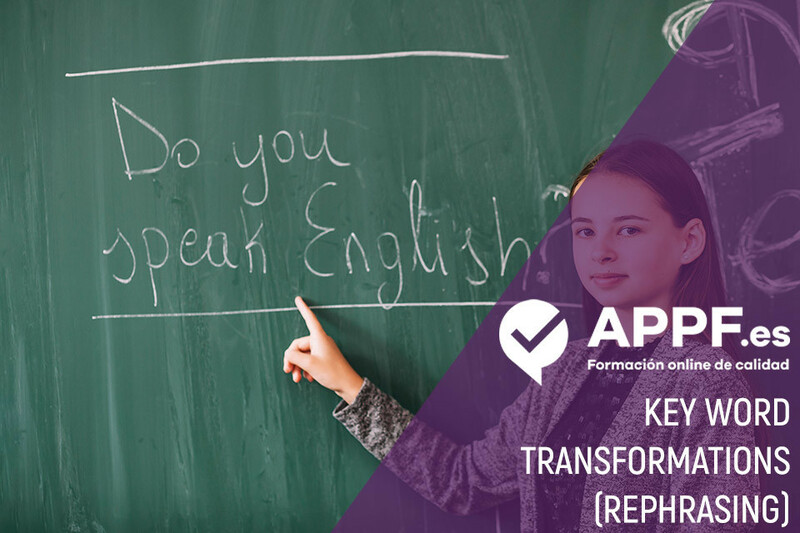 Key Word transformations or as they are probably better known, “rephrasing” are an essential part of the PET (B1), FCE (B2) and CAE (C1) Cambridge exams. Many students find them frustrating as they might not understand how they work. Here is a step by step guide to how to do them. Step one: improve your vocabulary. You must relate phrasal verbs to synonyms (take up = start doing) or fixed expressions (be just about to = be at/on the point of). To make this easier, we have included a FREE PDF with key fixed expressions. Learn to recognize grammar structures: passive, relative clauses, reported speech, quantifiers, connectors, tense changes, gerund versus infinitive, modal verbs, inversions (rarely), conditionals etc. In this part of the exam you have six sentences to complete. You need to read the first sentence in each question. From this you need to look at the second sentence and think about what information is missing. You must then complete the second sentence so that it has the same meaning as the first with 2-5 words (NO MORE). YOU ARE LEFT WITH NO MATTER AND ALL YOU NEED TO DO IS THINK OF THE SYNONYM FOR IT. I am learning English so that I can finish my degree by May of this year. I am learning English ____________________ my degree by May this year. Our parents won´t _____________________ to the party as a punishment. The teacher says it is a good idea to study the course material using an online course. The teacher _______________________________to study the course material. I don´t mind working hard, as long as I get paid for it. Working hard doesn´t matter to me, _____________________payment for it. John is excited about driving his new car. John _________________________ his new car. In the case of an emergency, read and follow the instructions beforehand. Read and follow the instructions __________________ is an emergency. ¿Qué es el examen Advanced o C1? ¿En qué consiste el examen First Certificate in English?